I am proud to be your Prime Minister. FijiFirst Leader Voreqe Bainimarama made these comments as he continues to give his assurance that the FijiFirst government will again deliver. Bainimarama says Fiji still has a lot to offer and we have to move forward without malice and jealousy. 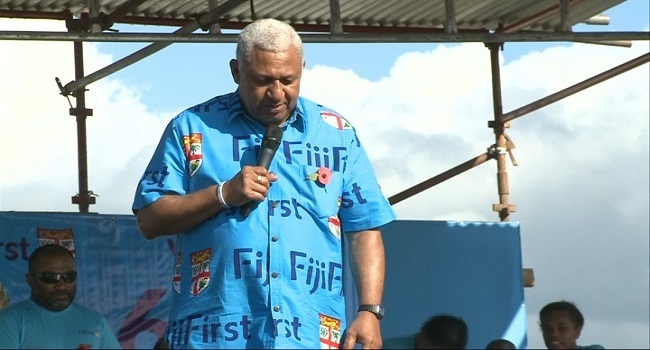 Bainimarama says he is looking forward to do even more for everyone with the FijiFirst government over the next four years.